The National Academy of Television Arts and Sciences (NATAS) announced their winners on April 28, 2008, at the 29th Annual Sports Emmy Awards at a special ceremony at Frederick P. Rose Hall, Home of Jazz at Lincoln Center in New York City. ASA President Lou Schwartz was in attendance as the awards were presented by a distinguished group of sports figures and television personalities including veteran Bob Costas (host of NBC’s upcoming Olympic coverage in Beijing and NBC’s Football Night in America; host of HBO’s “Costas Now” and “Inside the NFL”); Cris Collinsworth (sports analyst for NBC’s NFL coverage and HBO’s “Inside the NFL”); Jim Nantz (lead play-by-play announcer of The NFL on CBS and play-by-play broadcaster for NCAA college basketball and golf on CBS); Joe Buck (sports announcer FOX Sports NFL and MLB); Charles Barkley (11-time NBA All-Star and eight season veteran as NBA analyst for TNT); Mike Tirico (host of ESPN’s Monday Night Football, The Masters and his daily show on ESPN Radio); Phil Simms (Super Bowl XXI MVP and lead game analyst The NFL on CBS); Tim McCarver (two time- St. Louis Cardinals World Series Champion and sports announcer for MLB on FOX); Chip Caray (play-by-play for MLB Playoffs on TBS); Lisa Salters (ESPN reporter since 2000 now seen on the new E:60 program); Jay Bilas (studio and game analyst for NCAA college basketball for 13-years at ESPN); Cris Carter (3-time NFL All-Pro, 8 straight Pro-Bowls, analyst HBO’s Inside the NFL and Yahoo Sports); and Frank Deford (senior contributing writer for Sports Illustrated and commentator for HBO’s Real Sports with Bryant Gumbel). In the Outstanding Sports Personality categories, ASA Members James Brown of CBS (Studio Host), NBC’s Al Michaels (Play-by-Play), NBC & HBO’s Cris Collinsworth (Studio Analyst) and John Madden (Event Analyst) all took home honors. HBO led the network pack with eight wins and Fox was second to the premium channel with five Emmy wins, including two for NASCAR on Fox and one win each for MLB on Fox, the Tostitos Fiesta Bowl and the MLB pregame show. ESPN won four Sports Emmys, including wins for its National Association for Stock Car Auto Racing coverage and College GameDay. CBS was awarded three Emmys, including wins for its Super Bowl and U.S. Open tennis coverage, as well as a win by football analyst James Brown. NBC had three wins, all by its studio team, with John Madden, Al Michaels and Cris Collinsworth each taking home a trophy. TNT took home three Emmys for its National Basketball Association coverage. NFL Network received two Emmys, while ABC, ESPN2, The Golf Channel and FSN won one apiece. One of the highlights of the evening was the presentation of the Lifetime Achievement Award to Frank Chirkinian, referred to by many as the “Father of Televised Golf, “ and winner of four Emmy Awards. Chirkinian, who spent his entire career at CBS, was given the task in 1958 to figure out how to televise the game of golf. Chirkinian went on to produce 38 consecutive Masters Tournament telecasts making golf a mainstay in sports broadcasting and creating the standard against which all golf telecasts are still measured. 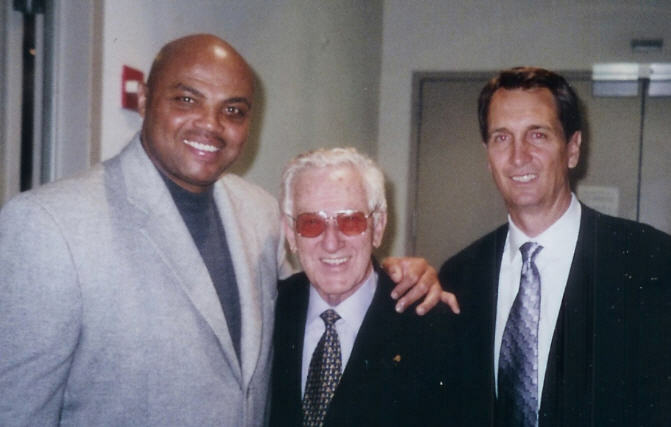 Chirkinian’s career encompassed the entire gamut of sports television from the 1960 Summer Olympics to the 1991 Masters Tournament, for which he received the prestigious Peabody Award. His production techniques revolutionized sports coverage and influenced how broadcasters around the world covered tournaments on television. Winners in 30 categories including outstanding live sports special, sports documentary, studio show, play-by-play personality, and studio analyst were honored. The Sports Emmy Award recipients were chosen by a Blue Ribbon Panel of their peers from over 750 entries. The awards recognize outstanding achievement by individuals and programs broadcast throughout the 2007 calendar year.